Whether it's just the two of you eloping to Maui or it's an entire entourage of friends and family, there are 5 things that you need to know going into your Maui wedding. There's a ton of websites filled with services and often more is not better. 1) Set a budget. You can't even begin to look at websites until you've set your wedding budget. You budget should include airfare, hotel, meals, transportation, entertainment and the wedding itself. 5 star resorts on the best beaches start at $500.00/night. Your basic VRBO studio 10 minutes from the beach should be around $75.00. Big Maui condo complexes like Kamaole Sands in Kihei run around $250.00 per night and are right across the street from the beach. Once you've figured airfare from your hometown along with your accommodations, rental car and $100.00/day for meals for 2, you can pretty much figure out your wedding budget. 2) Decide on the type of venue you want for your wedding. 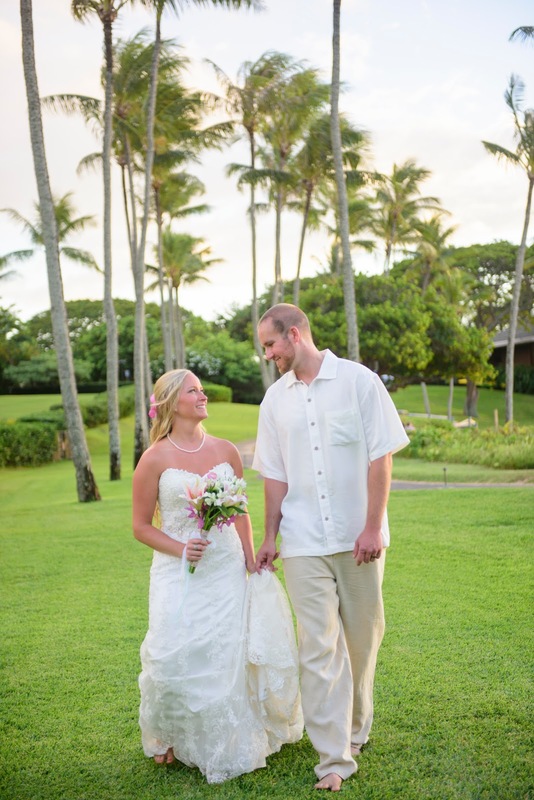 Toes in the sand Maui beach weddings don't incur extra venue fees but you are limited to 30 people. The beach offers the wind, sun and sound of the ocean, one of the best places in our opinion to get married. If you have more than 30 people or want something more private, check out private estate venues or Maui's semi-private wedding venues. These venues charge anywhere from $500.00 to $5000.00 just for the venue fee, which doesn't include the wedding but they offer ample parking and dinner on site. 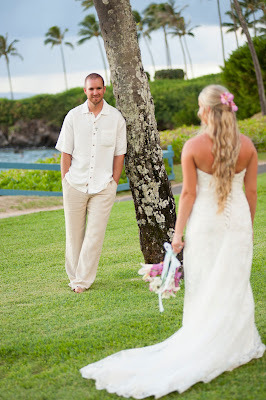 3) Check websites for Maui Wedding Planners. There's a lot of them. Things to look for in these sites are ease of use and imagery. Price is always a consideration but if you don't like the images on the site then you won't like the images you get. It's that simple. When you find a site with great imagery, bookmark it and move on. When you've got 5 or 6 good sites that are well put together and boast killer images then compare pricing. Choose a package that suits you and then call the wedding planner on the phone for a consultation. 4) Be sure your wedding planner lives on Maui! There's a ton of people who have Maui websites but live on the mainland, they hire surrogates to do the wedding for them, people they've never met, who they hire off craigslist. 5) Don't choose by price alone. There's folks who do everything themselves and those who hire the best wedding vendors in the business. Prices can range from $500.00 to $2000.00 for what seems like the same thing but remember, planning your beach wedding on Maui is not like buying a vacuum cleaner at Wal Mart. A Hoover here is the same as a Hoover there. That's not at all true when you are planning on having your dream wedding on Maui and you want it all to be perfect, from the venue, the directions, the ceremony, the photography, etc. Generally, the cheaper the price, the less customer service and professionalism you'll receive and if you are planning your wedding from thousands of miles away, customer service is what you need! 6) Don't be scared off. 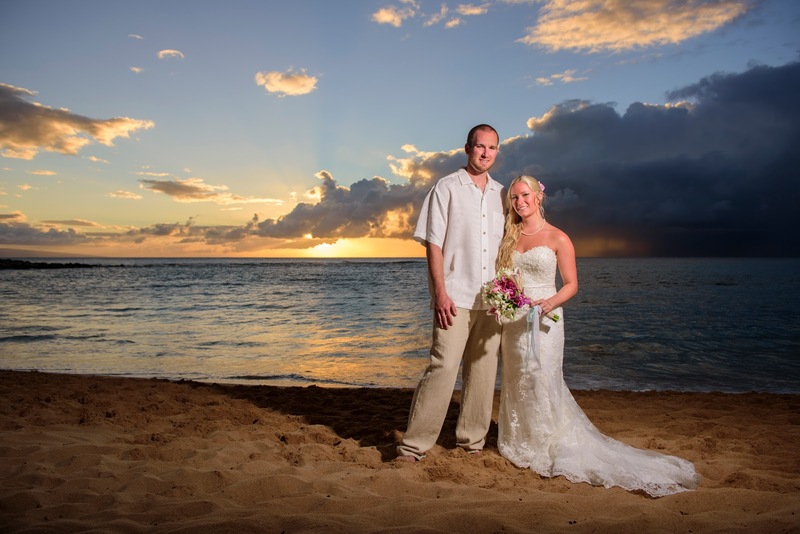 Maui is the best wedding destination in the world and if you follow these few simple suggestions, you are already off to a great start to your Maui beach wedding! 5 things to know about your Maui destination wedding plans maui wedding coordinators maui wedding planners maui weddings.